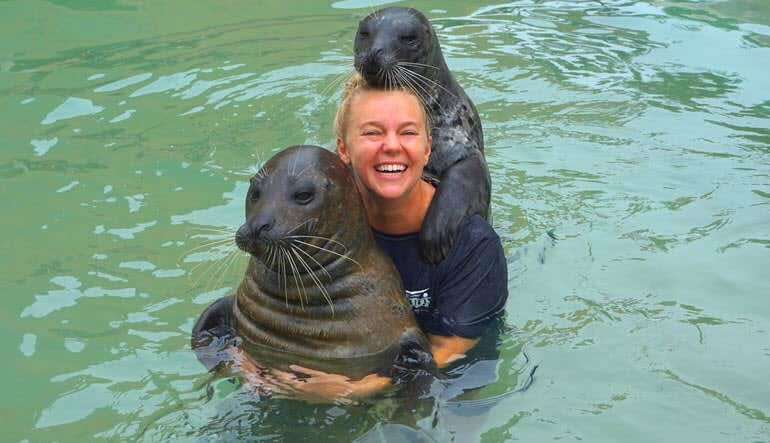 On this Miami seal swim, you actually have the opportunity to physically interact with them—steal a kiss, high five and hug it out with these magical creatures! Booking an aquatic adventure in Miami? Consider a swim with these chummy harbor seals! 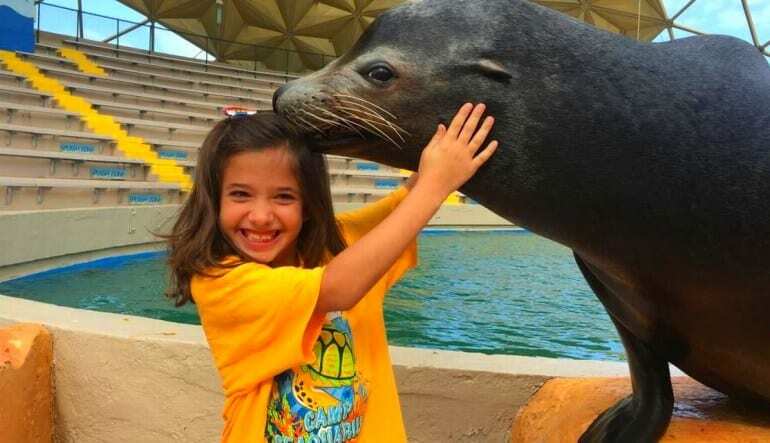 On this Miami seal swim, you not only get to observe the energetic mammals; you actually have the opportunity to physically interact with them—steal a kiss, high five and hug it out with these magical creatures! Did you know seals share a common ancestry with dogs, and that when they dive, they use oxygen in their blood and muscles to stay submerged? Learn all about a seal’s biology and social habits from a friendly marine expert. You’ll also have the opportunity to see how smart they are by partaking in a training session. They love to impress and will gladly show you a few tricks! Suit up and hop in the water to swim with the seals! Learn all about these amazing mammals from a friendly marine expert. 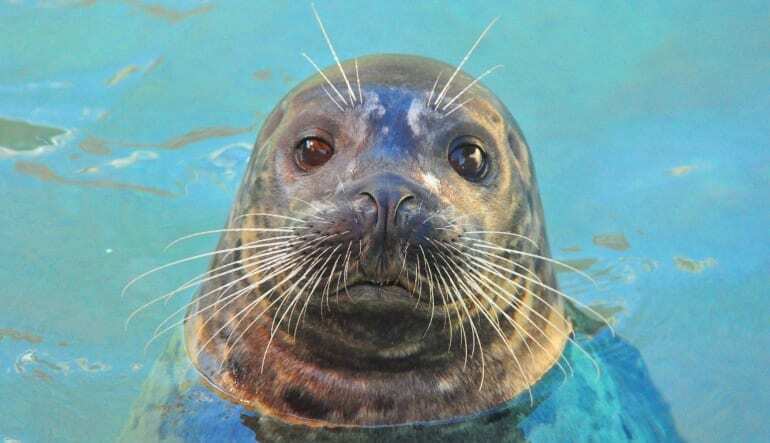 Interact with the seals: enjoy a hug, a kiss, a high five and a few belly rubs! 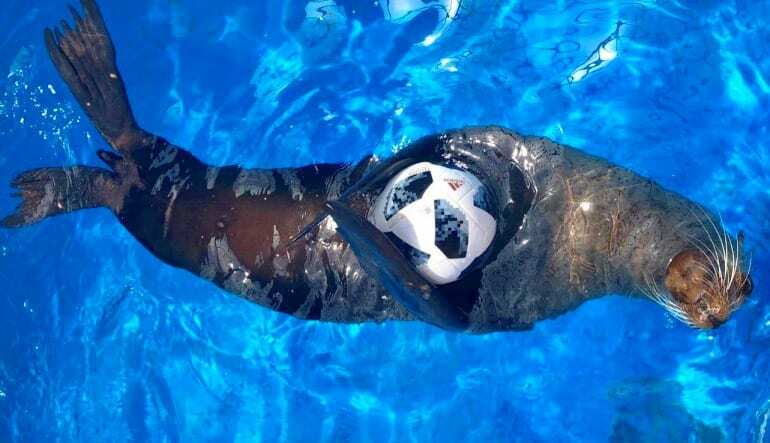 Get the seals to perform exciting tricks for you! Receive a day pass to the aquarium. You’ve never met an aquatic creature as friendly as these little guys! Because they’re so popular, spaces fill up quickly so book your place in the water now!